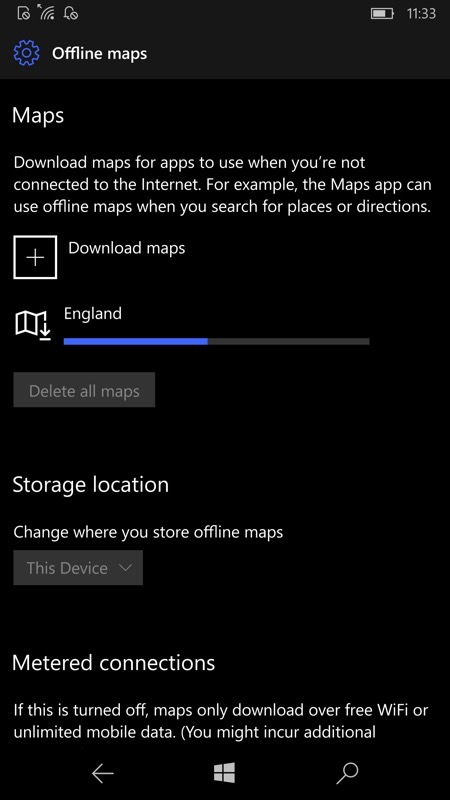 Offline maps updates are part and parcel of the whole 'Windows 10' system and you shouldn't be surprised that, even in the last year or so of official support for Windows 10 Mobile, updates are still coming in regularly. They used to be quarterly, and the schedule slipped in 2017/18, but the Maps team are bang on track again after their platform update back in July. 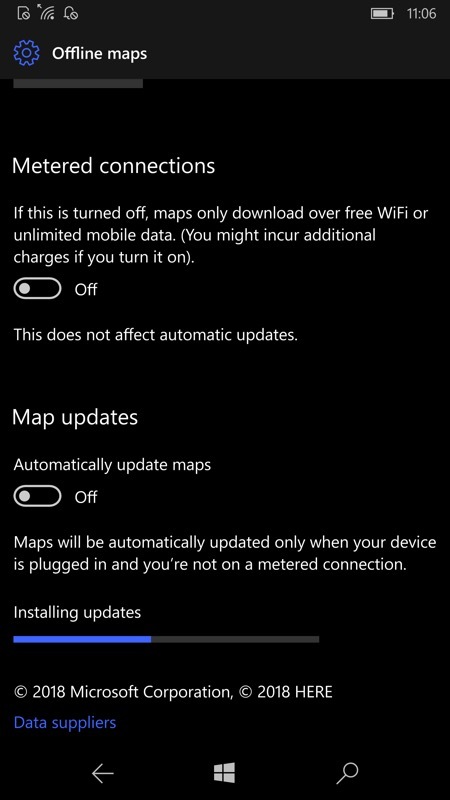 Noticed today on my Lumia 950 XL is that my offline maps were offered a big update, seemingly the whole of the country, implying more changed that could be covered with the usual incremental update. So yes, something of a token Flow story here on AAWP, but I realise that many countries aren't covered as well as the UK and just maybe 'aren't' can now be changed to 'weren't', i.e. please check your Settings (in Maps or in Settings generally) for updates and see what's available wherever you are in the world. Microsoft rarely lists what's in their map updates, so your comments are welcome here. Can you see anything new? Or is the forced country re-download part of an underlying platform compatibility thing, to line up with the release of new branches of Windows 10 for many form factors (not W10M, of course, that stopped at '1709').